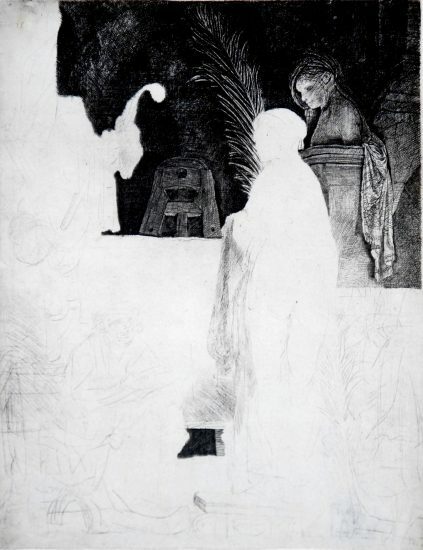 A true master of detail through his expert use of line and shadow, it's not difficult to see why Rembrandt etchings for sale and paintings in museums are consistently among the most sought after and valuable Old Masters. Sell Rembrandt artwork with us. We will research its value and popularity for you. Browse Rembrandt Catalogue Raisonnés Online. Rembrandt’s life was riddled with extreme highs and lows, yet he remains one of the most accomplished artists of all time. A multifaceted artist, Rembrandt excelled in the mediums of painting, drawing, and etching. Renowned for his empathy for the human condition, Rembrandt captured a certain truth about the human experience, particularly in his etchings. 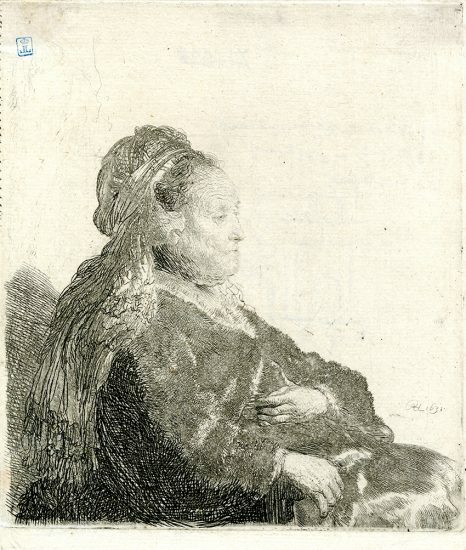 Rembrandt’s etchings skillfully convey human emotion as viewed through the eyes of Rembrandt. Rembrandt was born in 1606 in Leiden, the son of a miller and a baker’s daughter. He discovered his true calling as an artist in 1620 when he studied under Italian-trained painter Jacob Isaacsz van Swanenburg. 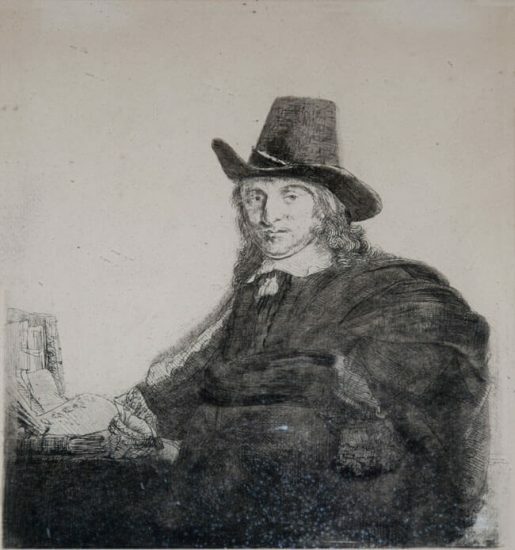 Rembrandt then traveled to Amsterdam, where his artistic development and identity as a Dutch artist began to flourish under the tutelage of Dutch painter Peter Lastman. 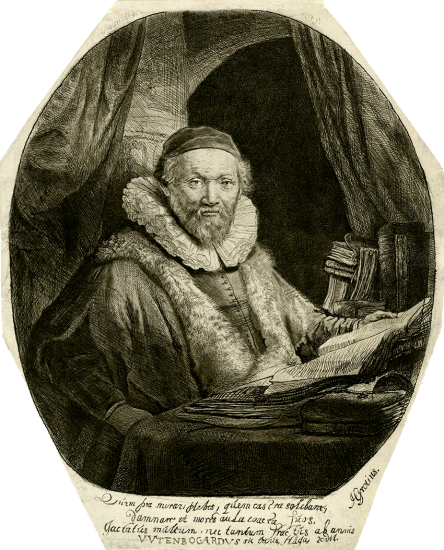 Rembrandt returned to Leiden in 1626 and shared a studio with his friend and fellow artist Jan Lievens. 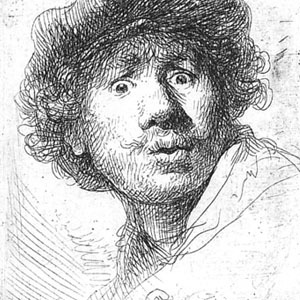 Alongside Lievens, Rembrandt’s etching skills improved vastly. In 1627, Rembrandt’s talent as an artist captured the attention of Constantijn Huygens, secretary to Frederik Hendrik, Prince of Orange. 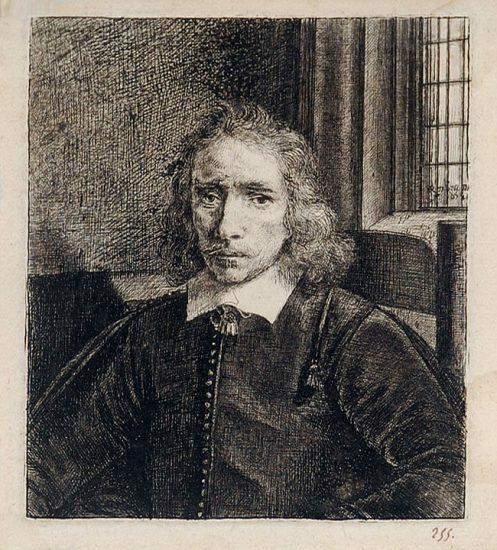 Hendrik was a great admirer of art and architecture and was very impressed with Rembrandt’s etchings and paintings. 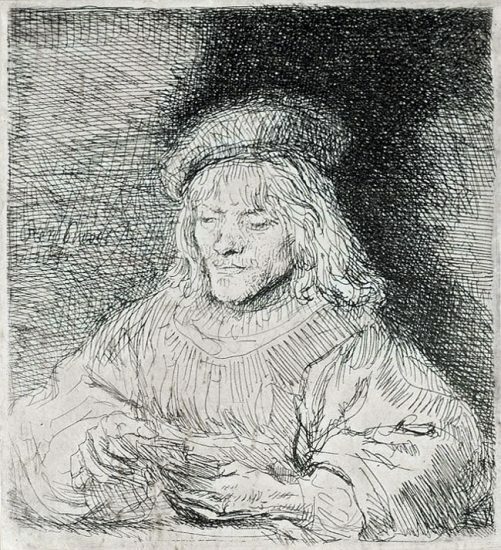 He became a patron of sorts, assisting Rembrandt in jumpstarting his career as a professional artist. 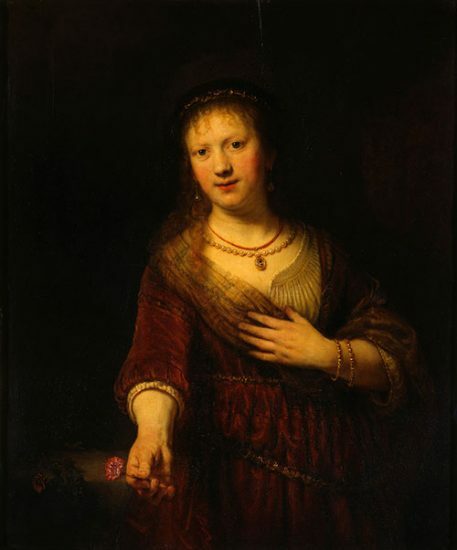 In 1630, Rembrandt moved back to Amsterdam and married Saskia Uylenburgh, the daughter of a prominent art dealer. 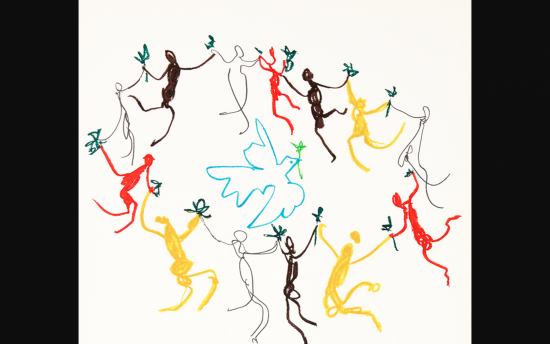 He experienced increased artistic fame and began to cement his status as a celebrated artist. 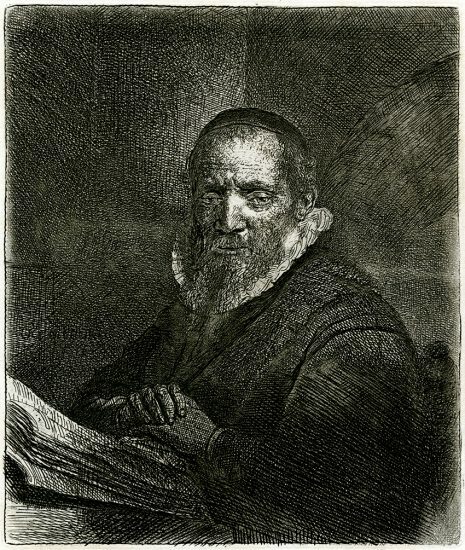 It was at this time that Rembrandt began to call himself by one name ‘Rembrandt’ in the style of the Italian masters. He received numerous commissions and opened a large workshop where he took on new pupils. 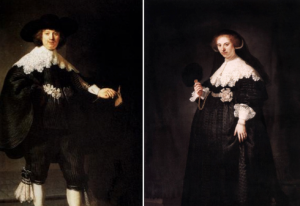 From 1634-1641, Rembrandt and Saskia had 3 children, all of whom died in infancy. In 1641, Rembrandt and Saskia’s son Titus was born – their only child to survive to adulthood. While Rembrandt was overjoyed with the birth of Titus, his happiness was short-lived, as Saskia died of tuberculosis in 1642, a year after Titus’ birth. Following Saskia’s death, Rembrandt immersed himself in his work. From 1642 — 1646, he expanded his school and took on more students, including artists Samuel van Hoogstraten and Karel Fabritius. In 1646, Rembrandt began a relationship with his housekeeper Hendrickje Stoffels, and, in 1654, she gave birth to a daughter, Cornelia. 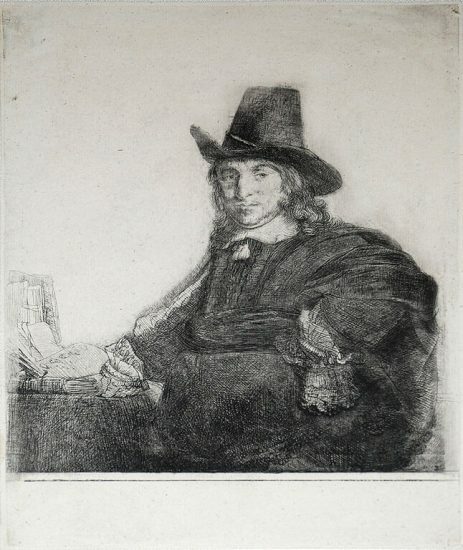 It was at this time that Rembrandt went into debt, largely due to poor bookkeeping and his knack for collecting old prints, drawings, albums, curios, and other art objects. 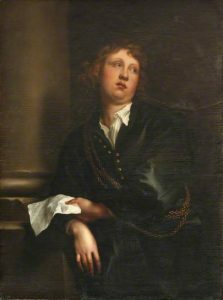 He lived beyond his means for many decades and, in 1656, narrowly avoided bankruptcy- his house and possessions were put up for compulsory auction to pay off his debt. Rembrandt continued to be a productive artist and active teacher but remained in debt, working at the service of Hendrickje and his son Titus until their respective deaths in 1663 and 1668. Rembrandt spent his final years in Amsterdam producing paintings, drawings, and etchings. While his reputation as an artist was somewhat tainted by his personal and financial hardships, he continued to create masterful works of art until his death in 1669. 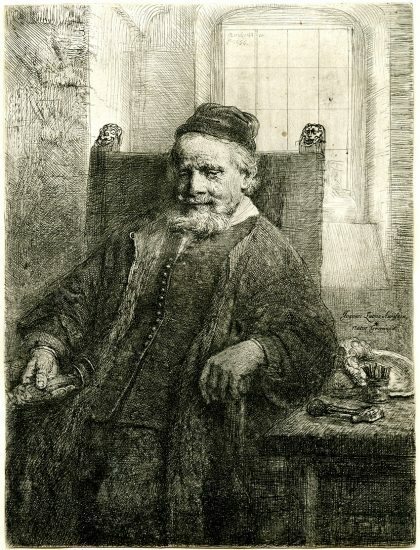 Rembrandt’s prints, particularly Rembrandt’s etchings, had a profound impact on the history of art. 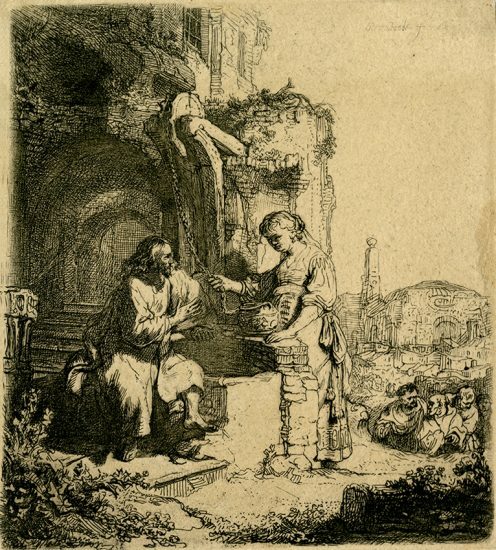 Unlike most Dutch artists of the time, who worked in fairly narrow fields, Rembrandt depicted a range of subjects; portraits, beggars, landscapes, and biblical subjects are commonly conveyed in Rembrandt’s etchings. 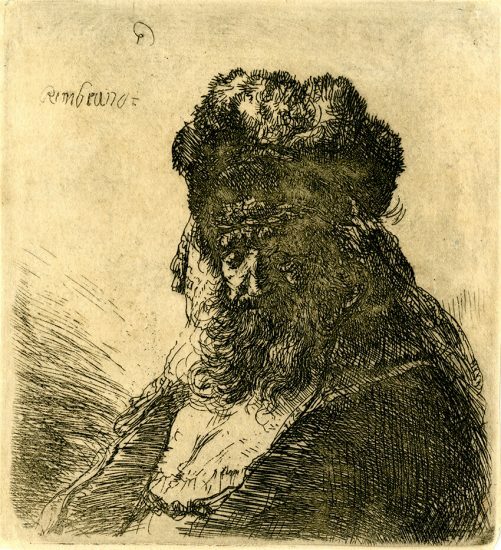 Rembrandt’s prints highlight his great range as a printmaker and his universal appeal as an artist. 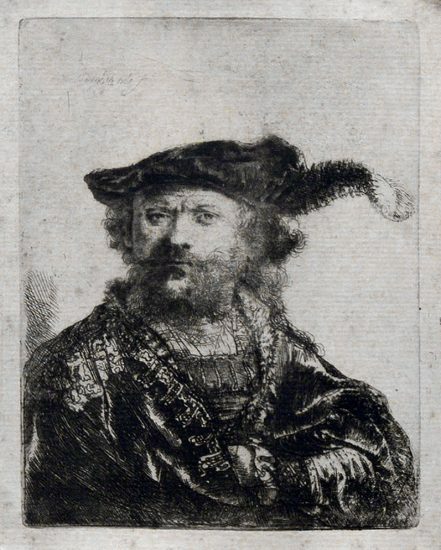 In particular, Rembrandt’s etchings display his innovative use of materials and etching techniques. Rembrandt utilized dramatic lighting and was a master of chiaroscuro, or the use of strong contrasts between light and dark. This effect was put to great use to express climactic moments and to highlight the emotions of his subjects. 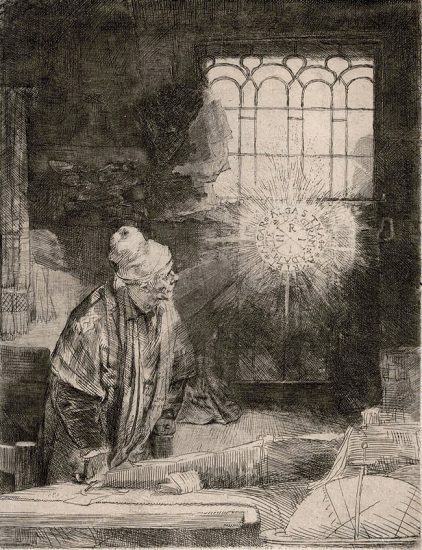 Rembrandt’s etchings also offer psychological interpretations that evoke personal involvement or investment with his subjects — they tend to focus on the human soul, displaying personality through the power of gesture and expression. From portraits to biblical scenes, Rembrandt captures the triumphs and tragedies of humanity with incredibly vivid and detailed portrayals. 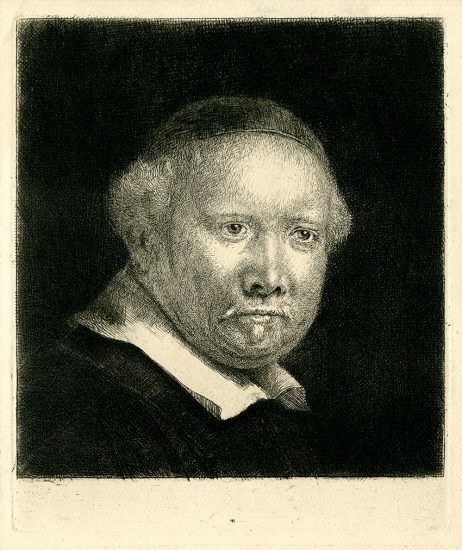 As with many artists of the time, Rembrandt originally made a name for himself through his portraits. He is celebrated as a portraitist who paid particular attention to the physical characteristics and expressions of his subjects’ faces, capturing their distinct personalities and emotions within his etchings. He first created portraits of family members but ultimately expanded to depict friends and important figures in society. 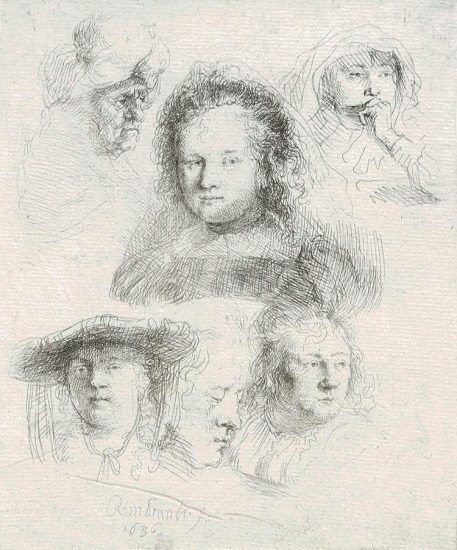 Oftentimes Rembrandt conveyed his subjects with downcast eyes, as if captured in a moment of private contemplation, adding an introspective and personal quality to his etched portraits. 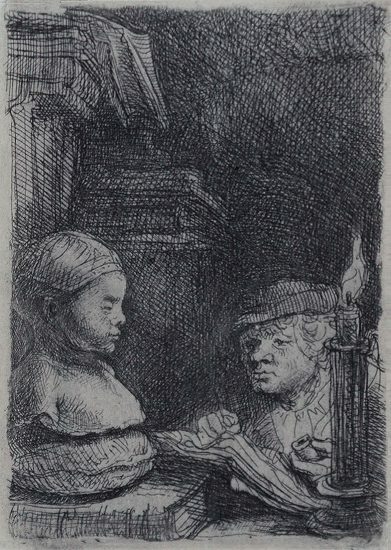 Rembrandt’s scenes of ordinary people going about their everyday lives were inspired by his own observations and sketches of the world around him. Rembrandt’s etched genre scenes provide a clear image of those living in Amsterdam during Rembrandt’s lifetime. 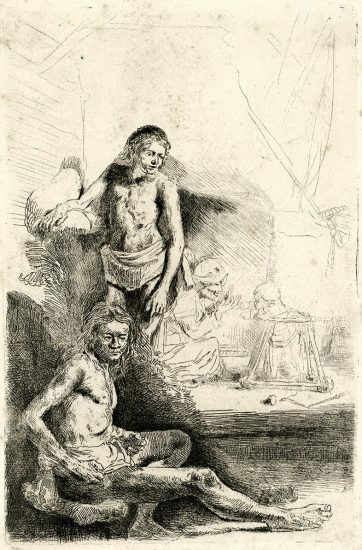 Rembrandt would study humans in their natural environments, often conveying their faces in more detail than their surroundings. 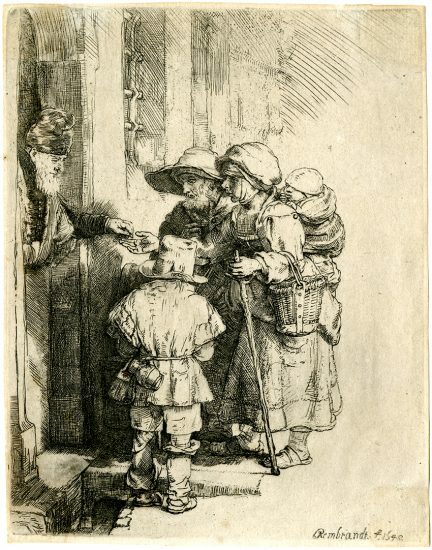 Rembrandt held a particular fascination for beggars — a fact evidenced by the many depictions of them as destitute, elderly, injured, or sick within Rembrandt’s etchings. Rembrandt’s scenes of Dutch landscapes are particularly captivating in their serenity and harmony. While his landscape etchings range from quick sketches to detailed studies of nature and man’s relationship to his environment, most of his etched landscapes depict locations in or nearby Amsterdam. Many of the etched landscapes display features local to Amsterdam, as these Rembrandt etchings were likely inspired by realistic motifs that Rembrandt sketched while walking around his home. Rembrandt’s early etched landscape scenes typically focus on a detailed foreground placed against a delicately suggested horizon, while his later etched landscape scenes convey more detailed backgrounds, often including imaginary elements such as mountains or exotic buildings. 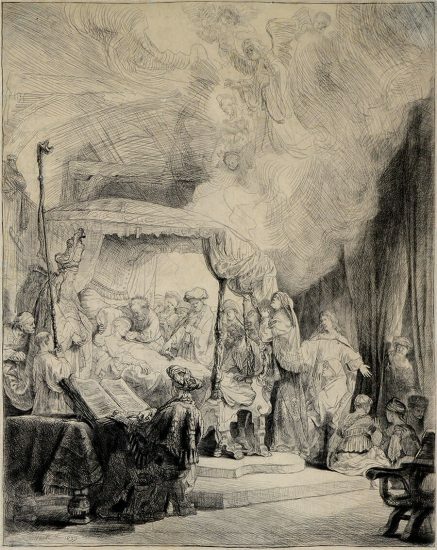 Rembrandt’s etchings depict biblical scenes both from the Old Testament and the New Testament. Rembrandt was fascinated by the biblical stories and their ability to capture the plight of the human spirit. 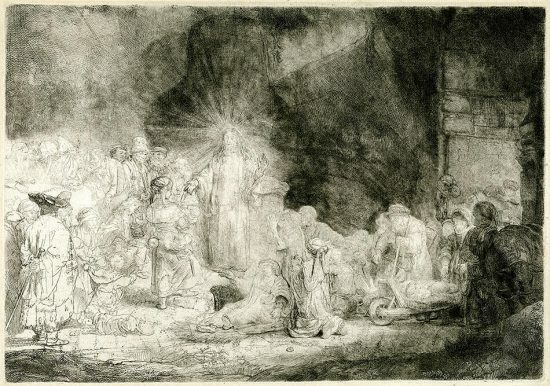 Rembrandt’s biblical prints convey dramatic scenes that best expressed powerful, human emotions, as exemplified in the renownedRembrandt etching The Hundred Guilder Print. 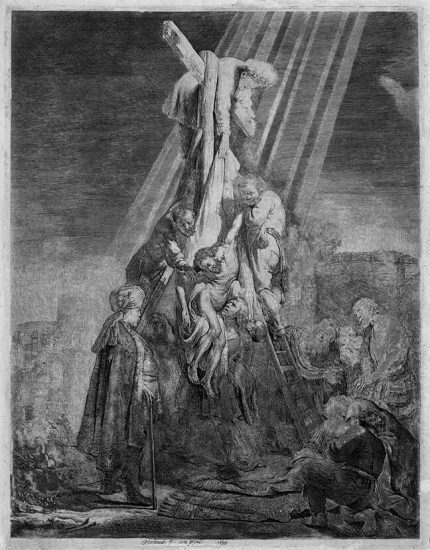 Acclaimed as the apotheosis of Rembrandt’s etched prints, The Hundred Guilder Print, with its large size and incredibly detailed depictions of human expression, is Rembrandt’s most desirable print. 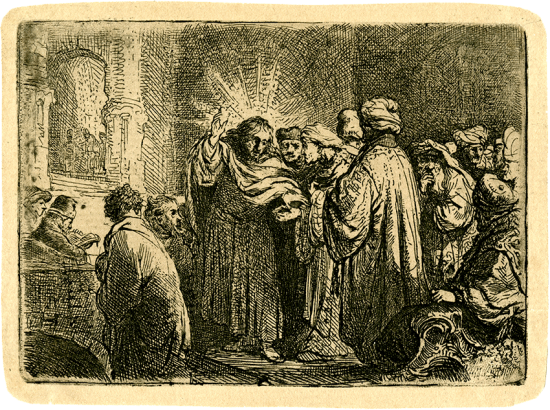 The Hundred Guilder Print depicts a distinct turning point in Rembrandt’s artistic style, contributing to the historical importance of this remarkable Rembrandt etching. 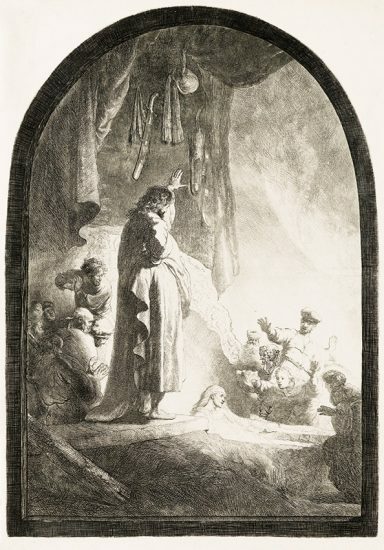 Rembrandt’s powerful use of light and shadow to create a heightened sense of drama first became strikingly apparent in The Hundred Guilder Print, as we witness Christ illuminated at the center of the composition, standing against a dark and mysterious background. 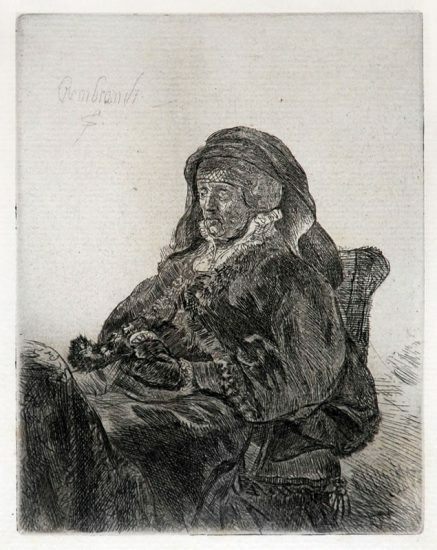 Rembrandt’s rare ability capture the unique physical and emotional characteristics of his subjects is also noteworthy in this astounding Rembrandt etching. He uses delicate lines to convey realistic human expression as no other artist can, evoking a sense of compassion and humanity from viewers.